We celebrate the 100th anniversary of the Czechoslovak Republic (Czechoslovakia) on October 28, 1918. I’ll be one of the special callsigns on the air. 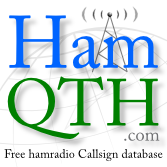 You can get very nice award for QSO with OL100 callsigns. I’ll be active as OL100C. More information about award is on OKDXF website related to this event. This entry was posted in On air on 30th September 2018 by ok7an. I had been dreaming about this radio for long time. Finally the dream comes truth and KX3 is on my desk. This entry was posted in QRP on 30th May 2018 by ok7an. I ordered this excellent QCX QRP TRX from QRP Labs (40m band version) at the beginning of December 2017 and had to wait almost two months but finally got it. Order volume of this kit was (and is) extremely high. You’ll get very good radio for very low price. Especially the RX is really good. This entry was posted in QRP on 30th March 2018 by ok7an. This entry was posted in CQRLOG on 10th September 2017 by ok7an. A few days a go I found an article written by UIf, DK5TX about problem with cooling fans installed in TS-590. Unfortunately I had the same problem. This entry was posted in TS-590SG on 21st April 2017 by ok7an.